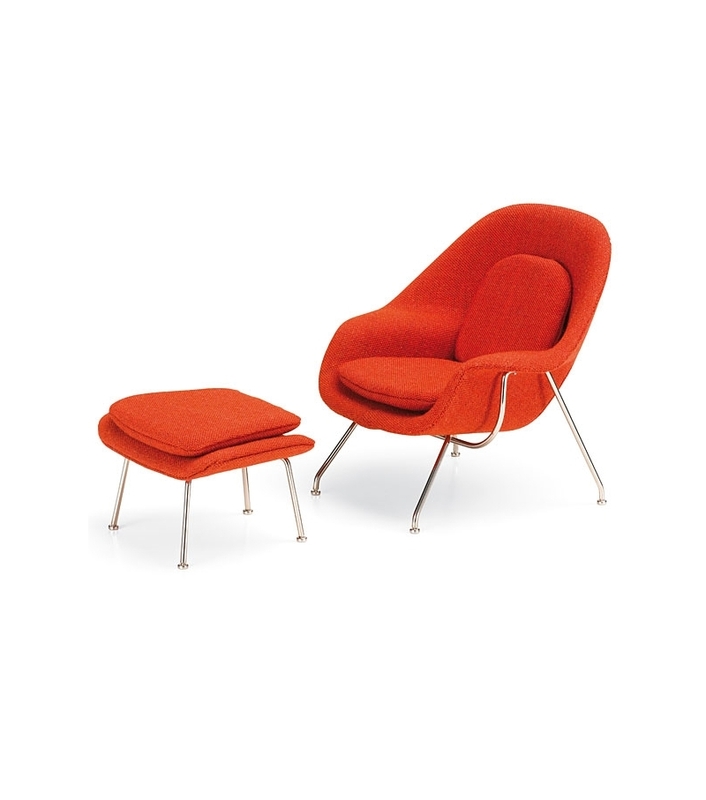 Vitra Miniature Womb Chair & Ottoman, Saarinen: The Womb Chair is regarded as one of the icons of postwar American Modernism. Designed by Eero Saarinen in 1946 and manufactured by Knoll International since 1948 (originally as Model No. 70), this armchair is the first piece of mass produced furniture in the history of design with an integrated seat shell made of fibre reinforced plastic. 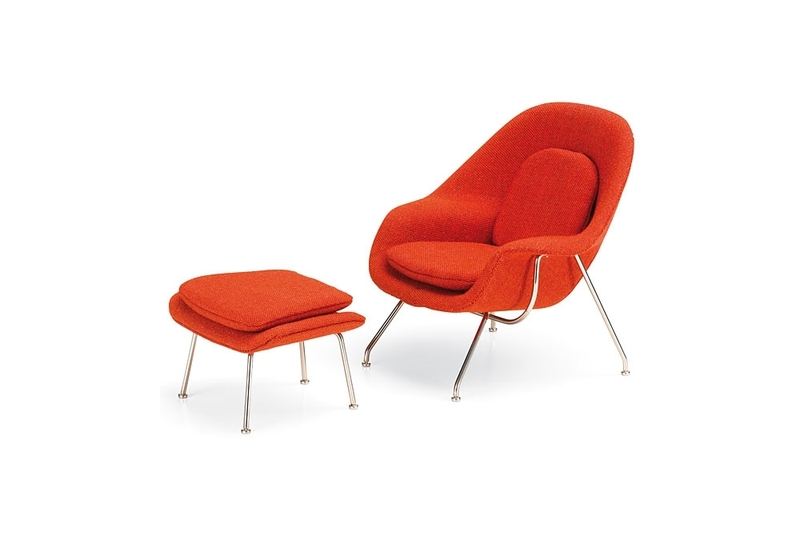 Vitra Miniature Womb Chair & Ottoman, Saarinen: The Womb Chair is regarded as one of the icons of postwar American Modernism. 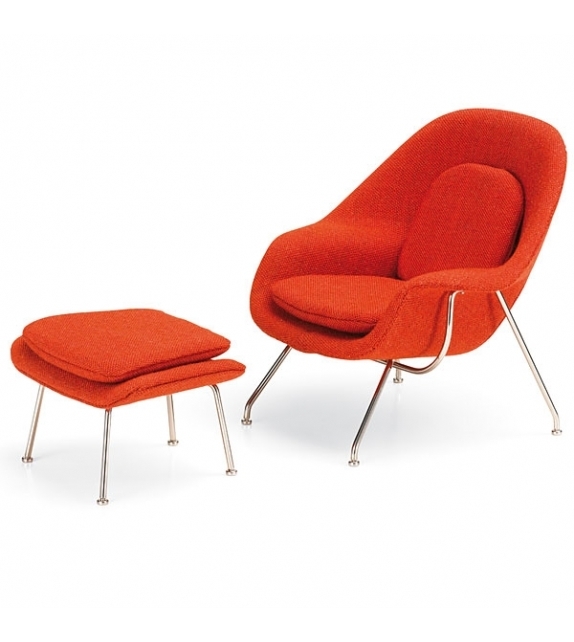 Designed by Eero Saarinen in 1946 and manufactured by Knoll International since 1948 (originally as Model No. 70), this armchair is the first piece of mass produced furniture in the history of design with an integrated seat shell made of fibre reinforced plastic. The expansive foam upholstered shell, which has two insetcushions for added comfort, is supported by a bent tubular steel frame. Saarinen developed the Womb Chair in close collaboration with a boat builder. His stated intention was to design a chair that would allow a variety of sitting positions and create a special feeling of relaxation and cosiness. This central design concept finds vivid expression in its name. Glass-fiber reinforced plastic shell, fabric, chromed base.